Welcome to the Engineering Career Development and Experiential Learning Center. The Engineering Career Center is here to help engineering students develop their professional skills and to provide opportunities for students, faculty and employers to meet and develop mutually beneficial relationships. Located in Marston 112, we have a dedicated staff to assist both undergraduate and graduate students with a variety of career-related needs. We provide many workshops, corporate information sessions, technical talks, plant tours and career fairs throughout the year. Please check out Calendar of Career Events for upcoming events. The UMass Amherst College of Engineering is pleased to launch Handshake, a platform where students can find jobs, internships, co-ops and connect to the UMass Engineering Career Center for recruiting events, fairs, workshops and helpful career resources. Handshake has a great help center full of Q & As, short videos, tutorials, and materials to help you find your way! Trouble with sign-in? Need help? Contact the Engineering Career Center at coecareers@engin.umass.edu or 413-545-4558. The Engineering Career Center connects employers with students through job and internship announcements, career fairs, corporate information sessions, networking event, interview scheduling, and plant tours. If your company has engineering hiring needs, whether immediate or in planning for the future, please contact Cheryl Brooks at 413-545-2386 or brooks@ecs.umass.edu. Organizations that recruit UMass Amherst engineers often ask us about ways to improve their visibility and recruitment efforts on campus. The Engineering Career and Student Development Center offers a unique opportunity for organizations to expand their presence on campus, while also contributing to the positive development of potential future employees. The Corporate Partnership Program extends to organizations multiple resources to promote their brand and to engage with students, faculty and the Engineering Career Center staff while on the UMass Amherst campus. Thank you to our College of Engineering Corporate Partners. Click on the company logo to access current openings. 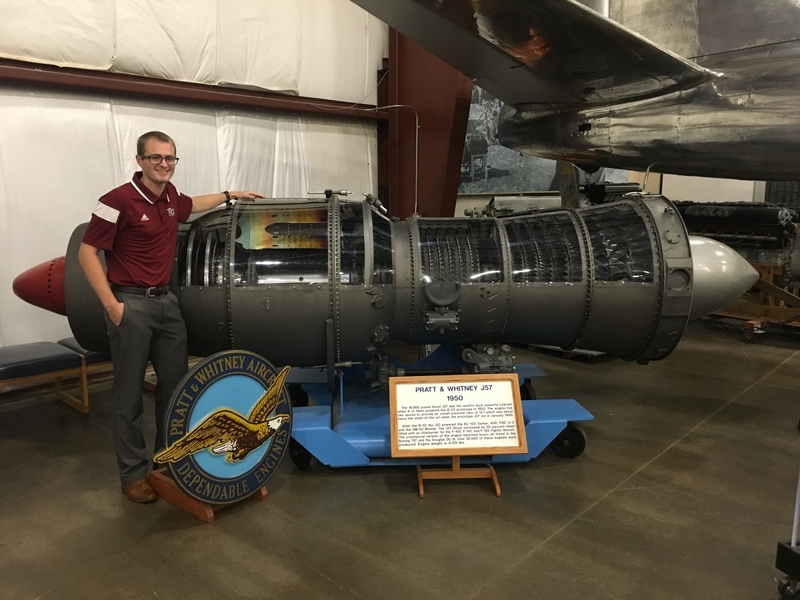 I had the amazing opportunity to intern as a Project Engineer in the Mechanical Systems, Externals, and Nacelles (MSEN) Module Center with Pratt & Whitney’s MDP as they develop the next generation of military engines. Overall, my experience at Pratt & Whitney was an incredibly rewarding one, and the cross-discipline leadership experience will be invaluable as I move into my engineering career. The best advice I can give anyone trying to work at Pratt & Whitney, or really anywhere, is to take advantage of the career development resources offered within the College of Engineering. I can honestly say I probably would not have gotten my foot in the door at Pratt last year without the guidance and support of their staff. They were an immense help in preparing my resume, cover letter, and interview skills, and I am incredibly grateful! I also highly encourage students to make as many industry connections as they can. Whether it be through career events on campus, collecting business cards while at an internship, or just having a conversation with a guest speaker, never underestimate how far connections can, and will, take you!